So, are you planning to visit Mumbai? And there so many places to visit in Mumbai. How can I plan my visit to Mumbai? In what way will I manage to visit most of the places of Mumbai? How will I plan a budget trip? Where will I stay in Mumbai? The tourist visiting Mumbai, mostly ask these type of Questions. So, here is the solution. I have prepared a itinerary considering all these aspects. Also, itinerary is based on my personal experience. Mumbai is the lifeline of India. Hundreds of trains are scheduled to Mumbai. For this itinerary, I would be considering that you are traveling to Mumbai by train. You will be probably getting down at Mumbai CST. Shri C.T Parikh Khadayta Bhavan is 3.6 Km from Mumbai CST. You can travel by bus. After relaxing, you can go to Gateway of India. Gateway of India overlooks the Arabian Sea and is also referred as Taj Mahal of Mumbai. 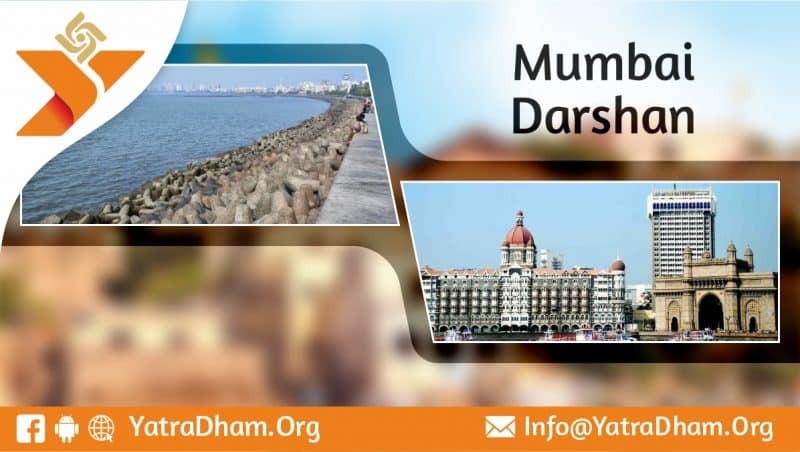 Gateway of India is 4.6 Km from Shri C.T Parikh Khadayta Bhavan. You can spend about 2-3 hours here. There is boat or ferry service available from Gateway of India to reach Elephanta caves. So, having a good evening at the caves you can return to your place. Next day, you can go to see Cobala Causeway. Also, enroute RBYC Jetty, Marine Drive and Tip of Nariman Point in the evenings. Juhu Beach Ville Park is the pride of Mumbai. You are going to love this place. There is the residence of most famous celebrities of the country residing here. It is a fantastic place if you are visiting early morning. For this day you will visit Dolphin Aquarium, Mahakali Caves, Mumbai Selfie Point, Red Carpet and The Mumbai Flimcity Tours. This is the last day and will be the best day of your trip. Day at Essel Amusement Park is a day well spent with amusing rides, water rides, and many other adventures. Thus, your trip ends here. Your Mumbai is a thrilling experience.